Introduce children to time-telling and schedule planning while having fun. Introduce children to time-telling and schedule planning while having fun. Fun S.T.E.M learning. S.T.E.M - Science, Technology, Engineering, Maths. 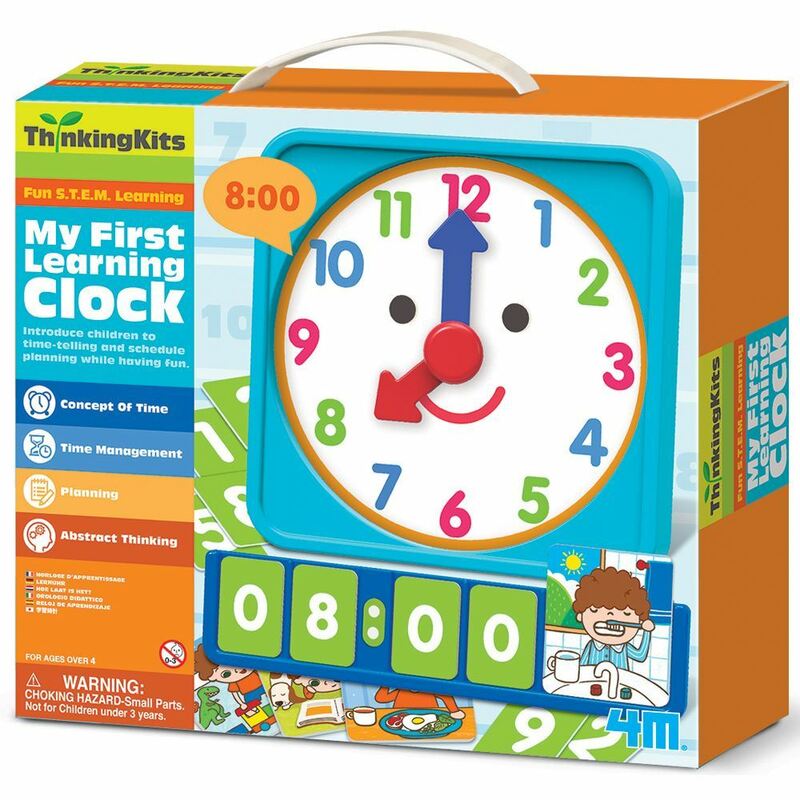 Helps your child develop concept of time, time management, planning, abstract thinking. Contents: 1 x learning clock (19 x 19cm), 1 digital time display, 1 x storage bag, 9 x activity cards, 20 time number cards and parent guide to teaching clock. Age 4+ years. Part of the Thinking Kits Fun S.T.E.M Learning range. Distrubuted in New Zealand by Holdson.